Good health is top of every parent’s wishlist for their child. 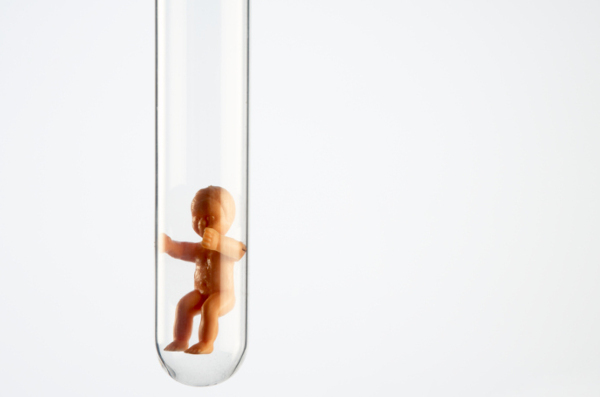 So what if you could weed out genetic disorders before your child was even conceived? It’s not as far fetched as it sounds. A new test, tipped to be available in Australia within five years, allows parents to find out their prospective child’s health as well as traits such as height, sleep patterns, skin pigmentation and eye colour. New Scientist reports the Matchright technology creates digital embryos by virtually mixing two people’s DNA, and then looks at a list of traits of a future child from that pairing. It will be used in two US fertility clinics to allow future mothers to screen out sperm donors who, when their genes are combined with hers, could increase the risk of a child inheriting genetic diseases. It’s intended to identify up to five hundred rare conditions passed on when both parents carry a mutation in a single gene, such as cystic fibrosis and Tay-Sachs disease. GenePeeks, which developed the service, says it would eventually like to use Matchright to screen for complex disorders and diseases with a genetic basis, such as schizophrenia and breast cancer. University of NSW obstetrics and gynaecology professor Michael Chapman tells the Sydney Morning Herald doctors can already look at an embryo and determine if it will carry a certain disease. “That disease can then be avoided by using a different embryo that doesn’t have that genetic structure. (Matchright) will take it a step further. It’s trying to get the best recipe when you bring an egg and sperm together,” he says. New Scientist reports that eventually GenePeeks wants to offer Matchright to couples hoping conceive naturally, so they can analyse their disease risk. It may one day even used by people seeking potential partners on dating sites. These possibilities have raised concern among some scientists, who warn it should only be used for medical reasons. Marcy Darnovsky, of California’s Center for Genetics and Society, tells New Scientist such practices may change people’s expectations about being able to select traits in their future children.